Winner of the Ubuntu App Showdown 2012. 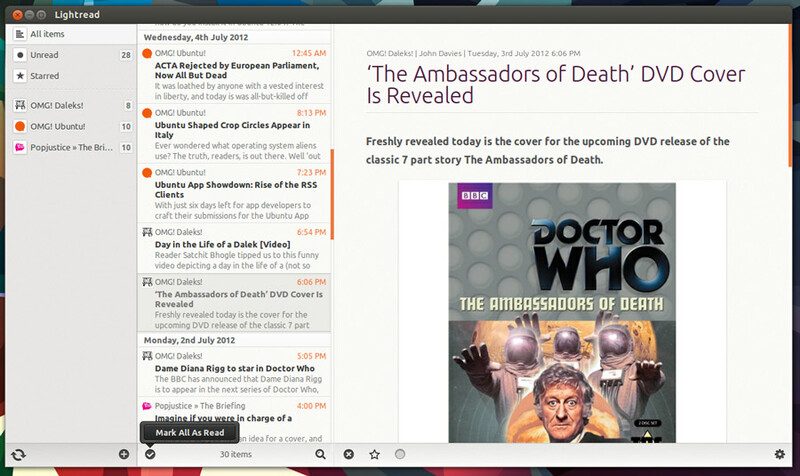 Basically a clone of the popular mac app Reeder. Includes off-line support, keyboard navigation, notification bubbles, and HUD support. Currently powered off Google Reader but I'm sure it'll switch over to something like Feedly once Google Reader shuts down.